1. 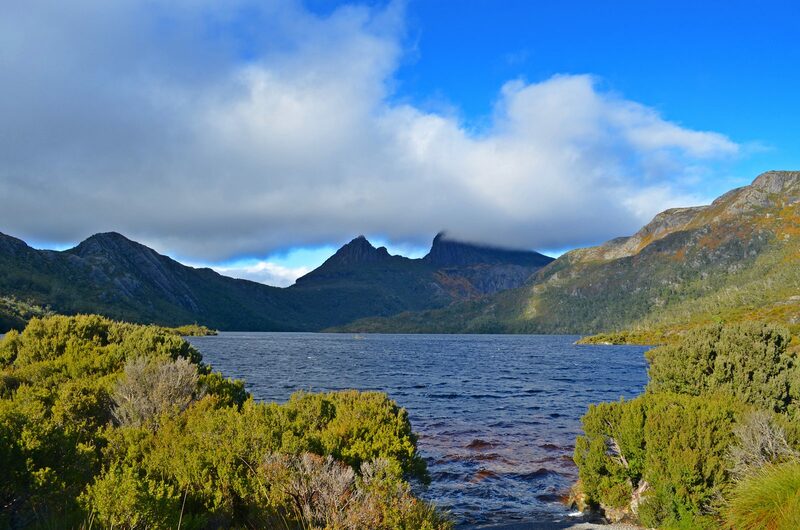 Cradle Mountain Lodge Dove Lake Walk – about an hour’s drive from Devonport is the beautiful Cradle Mountain National Park and Dove Lake. 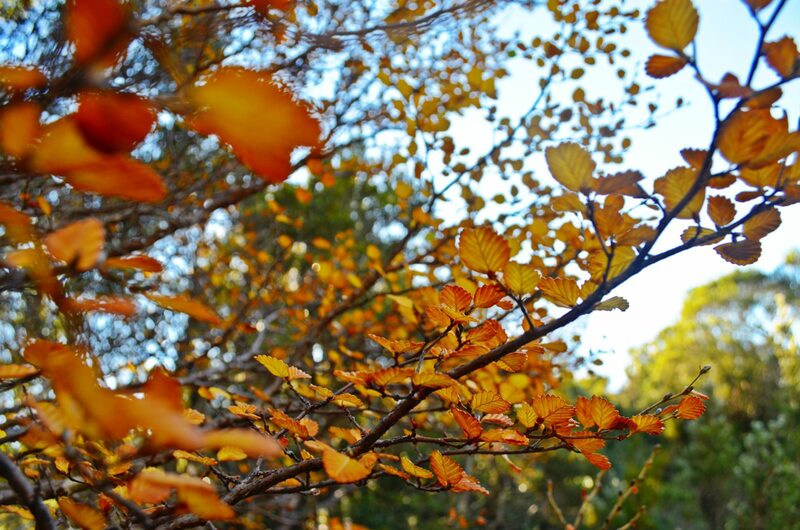 There is an easy two-hour trek around the lake which is full of beautiful sights and smells. We got there fairly early in the day and there weren’t a ton of people doing the walk. When we arrived back at the carpark there was three times the amount of people so I’d recommend starting early. 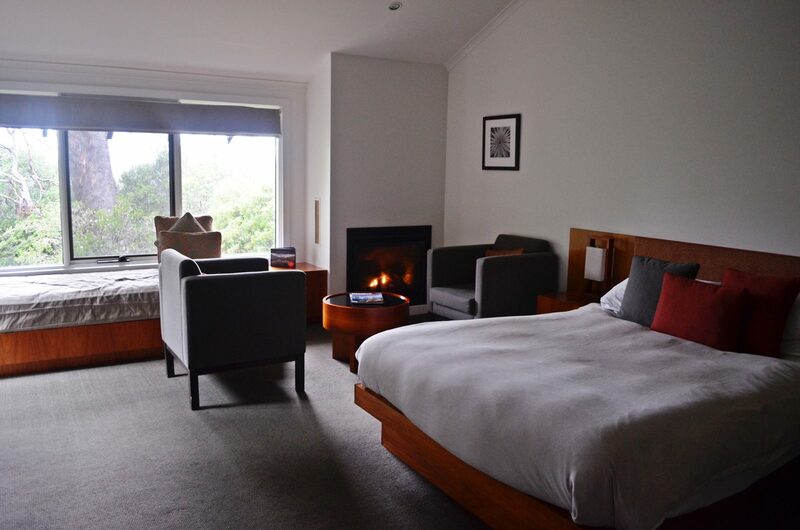 We stayed at the beautiful Cradle Mountain Lodge, our favorite of all the places we stayed in Tassy. We stayed in a Pencil Pine cabin which was the perfect size for the two of us. The first day we arrived it rained all day so we read books and played cards by the fireplace. So that’s what a relaxing vacation is like? 2. Brekkie at Christmas Hills Raspberry Farm in Elizabethtown – on a recommendation from a friend from Tassy we stopped at this farm and cafe for brekkie on our way to Cradle Mountain. It was a beautiful little raspberry farm with a quaint cafe, complete with a real fire crackling in the background. We had one of the best meals in Tassy at this place, including raspberry chocolate french toast and a big country brekkie with raspberry sausage. 3. 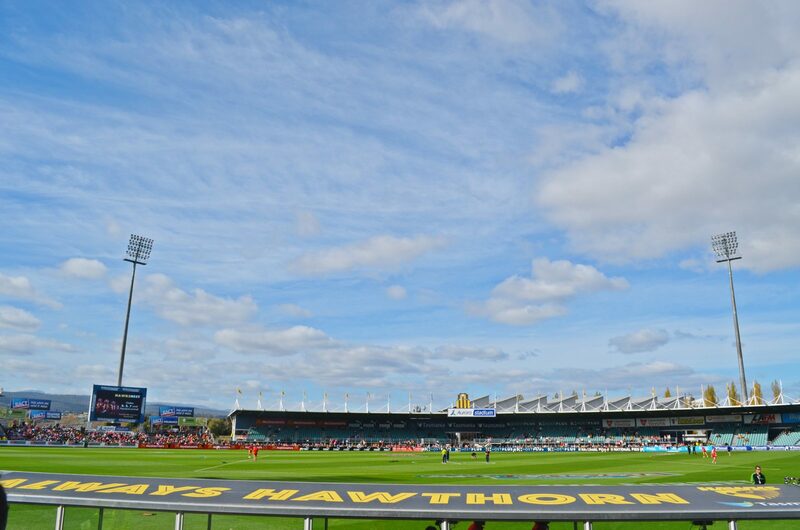 Hawthorn Hawks vs. Sydney Swans at Aurora Stadium in Launceston – Yes, my hubs is a huge AFL Footy Hawks’ supporter and yes, I added up some major wife points by attending yet another Hawks’ game with him. Best.Wive.Ever. The Aurora stadium in Launceston is about 70,000 seats smaller than the MCG but it allows you to get right up there close to the action. It was a perfect day for a game, making me homesick for fall Sunday afternoon football. We won’t discuss the outcome of the game. 4. Salamanca Place and the Salamanca Market in Hobart– We spent a couple of days in Hobart and a majority of those days we were at Salamanca Place. One night we had some darn good pizza at Cargo and the next morning we went to the famous Salamanca Market. 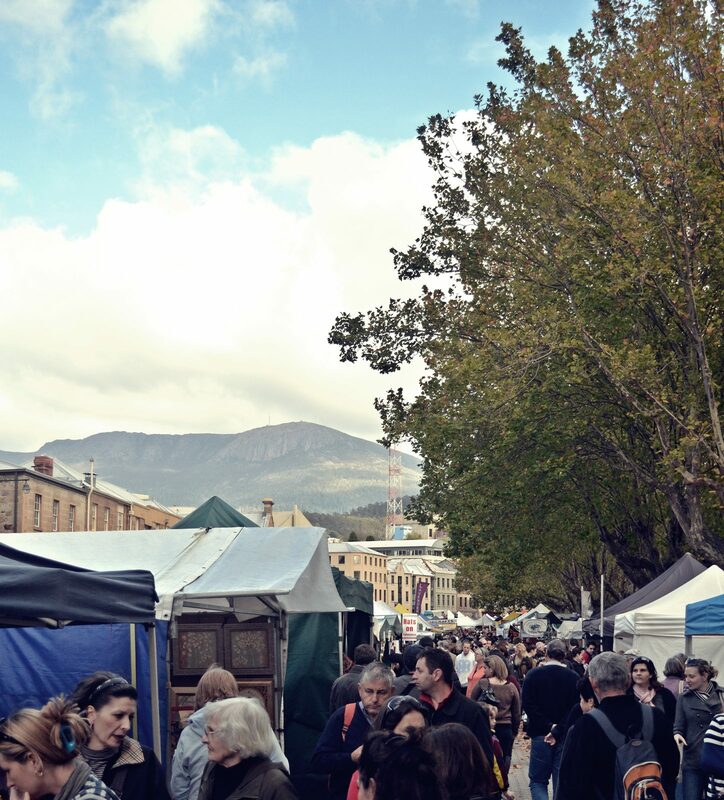 While the size and variety of the market is bested by other markets we’ve visited, there is definitely a special feeling at Salamanca with the old-style buildings and the backdrop of Mount Wellington. 5. Tasman Island Cruise at Port Arthur – this was amazing and too much to include in this post so there is a full post dedicated to this. Click HERE to read about this incredible experience.